Recently SG is utterly fascinated with oversize bags. Even though I am a petite gal but I still look forward to finding large supple bags which I think represent casual understated elegance as I usually pair oversize bags with more casual clothing. Not to mention, a gal can bring everything but the kitchen sink with her. With that being said, let me just share Chanel totes fitting all of the above requirements: oversize, casual, and elegant. So savvy gals, which is your pick? 1. 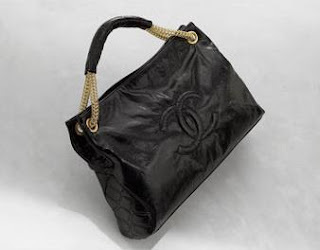 Chanel CC logo tote with short chain straps $2495 is SG’s pick for the savvier price and shorter chain. I can tuck the bag right under my arm. 2. 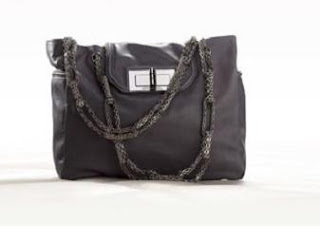 Chanel leather tote with updated Maxi chain straps $3995 ~ ouch, very pricey! Update: A couple savvy gals commented about the lack of details so I found better ones. ouch that price is high... one day.. a chanel bag for me. I like it but I'd prefere it in another colour! Love the Chanel totes! However, its way pricey, but I can justify buying a vintage piece.. I like the one with the sorter chains, and I really like the colour! love chanel, i prefer the second one, but not loving the colors that much!!! these photos just don't do these totes justice. i will find better photos when i can get around tomorrow. no. 2 has the new extra large turn lock and new maxi chain. I know how you feel, I'm 5'3 and I truly believe the bigger the bag, the better!!!! Great bag! i don't want to look at the price. x_X lol. but love it. even the color of it. I love the first bag, but way to expensive!! hey savvy gals, i found better photos so we can all get a better view. 3rd style best, very savvy indeed! i really love the one with maxi chain straps!